Musings of The Carrot Flower...: Running. These past few months I have been working hard and at first going on the treadmill was a dreaded task. I would walk to the back of the gym to the treadmill in the far corner and get going but, before I could even manage that I'd have to make sure there was no one on the one beside "mine". Before I even left the change room I'd have my music in so that I could avoid talking to people and people would avoid talking to me. The only reason I ever went back on the treadmill was because I always felt like I accomplished something. Now.....now I am loving it. 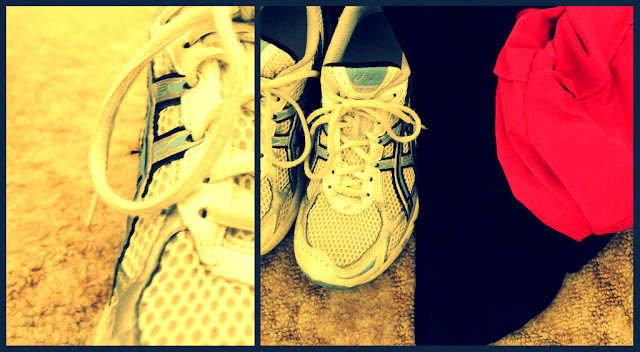 I look forward to getting to the gym, I enjoy putting on my runners, stepping onto the treadmill and running. No I don't get the breeze going through my hair, smell the flowers, see the daisies type of experience but when a song comes on and I like it I smile. I am proud of what I've done, and how far I've come. I no longer huff and puff like crazy, self-consciously running in the corner, hoping no one notices me. Although, I prefer not talking to people, I like running, I feel so much better in my own skin, and can I just say wow, that rush. I am still feeling a little buzzed from my run tonight.